After the procession through the streets of Whitehaven people gathered in Castle Park for the presentation of the Queens. 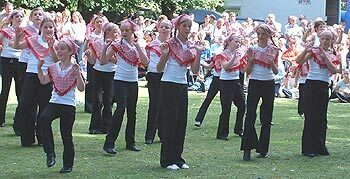 The local dance troupes then each went through a routine. 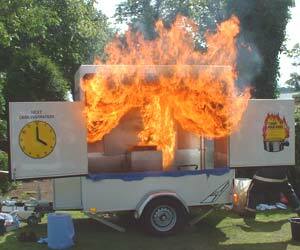 The local fire brigade not only lead the parade in a fire-engine they also gave fire safety demonstrations throughout the afternoon. Explaining the dangers of chip pan fires they gave this dramatic show of what happens when water is put on the flames. The explosion was sufficient on this occasion to blow the pan off the hob. 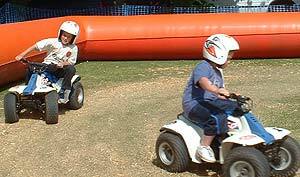 These mini quad bikes and a small fun-fair helped to keep the kids entertained during the afternoon.